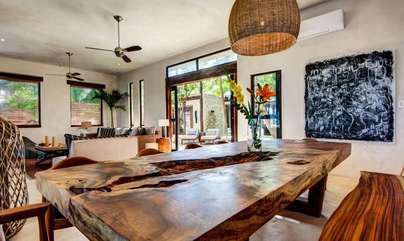 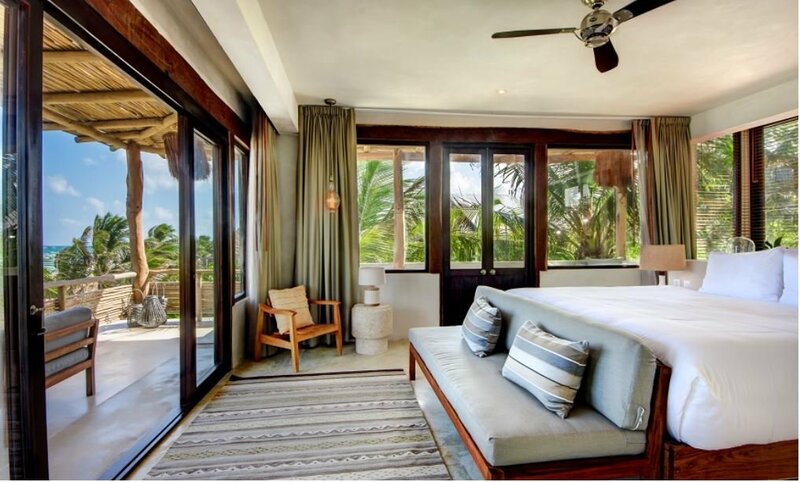 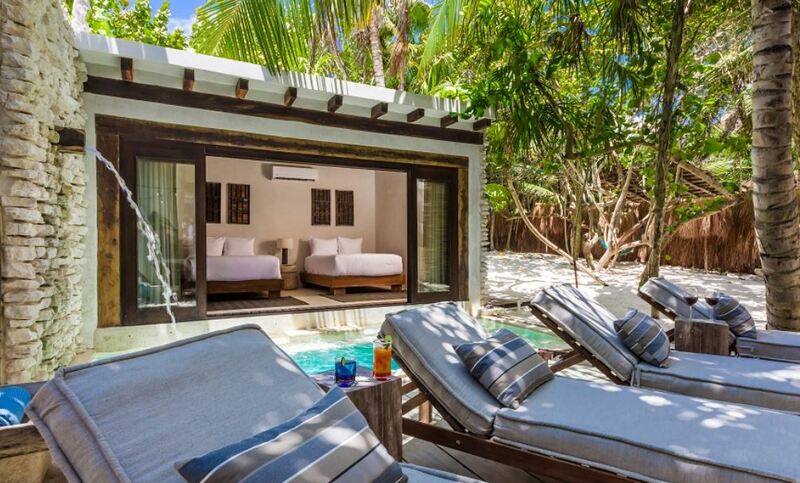 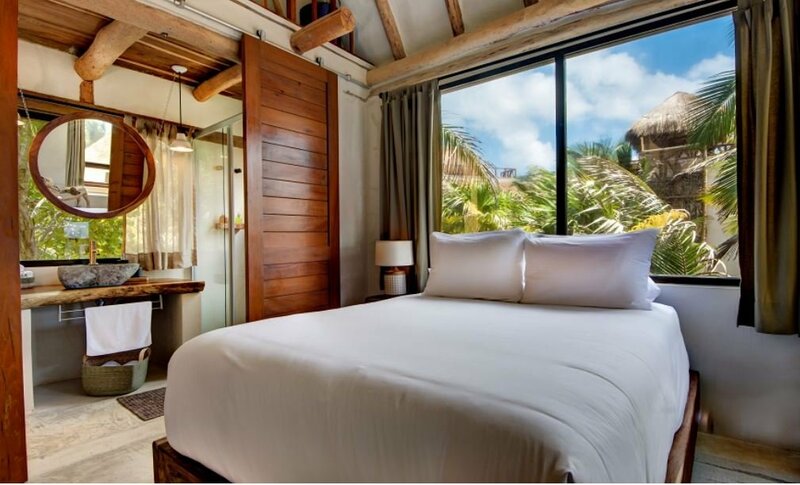 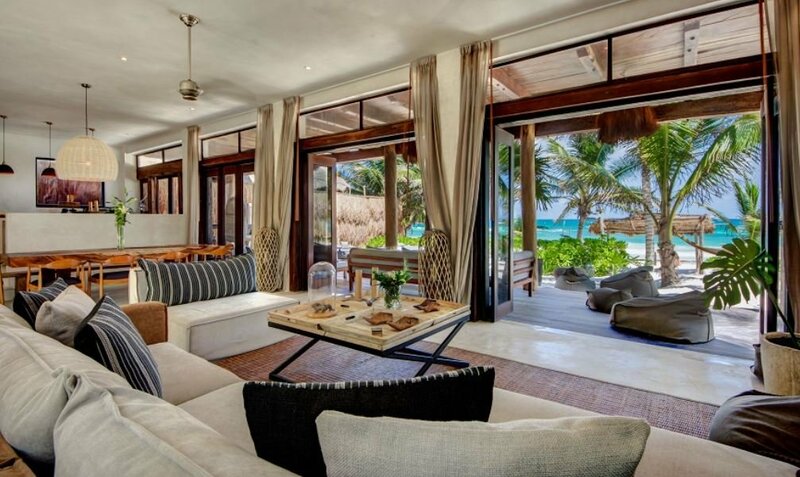 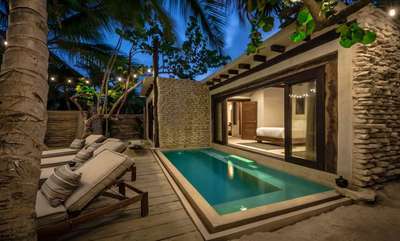 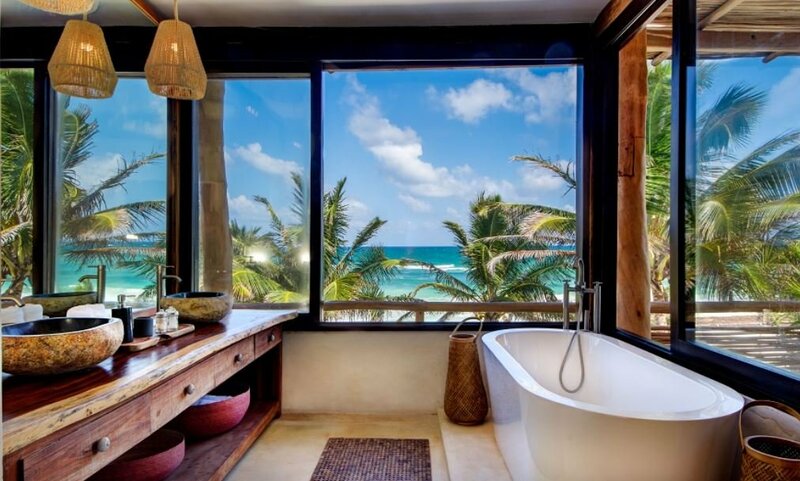 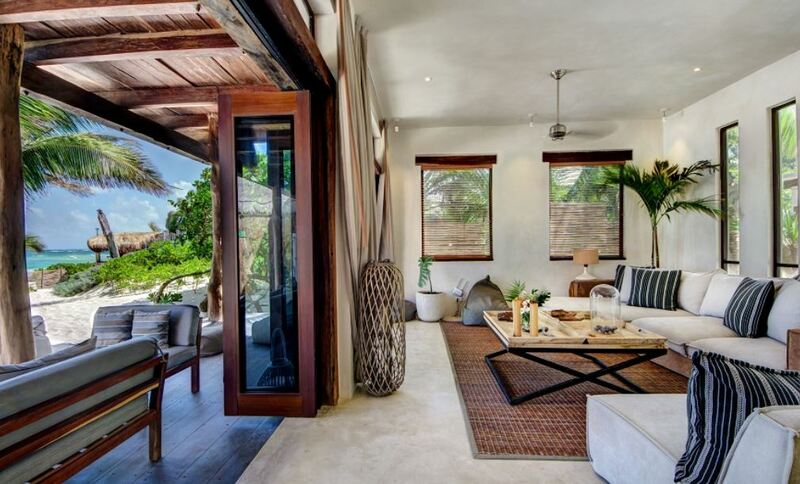 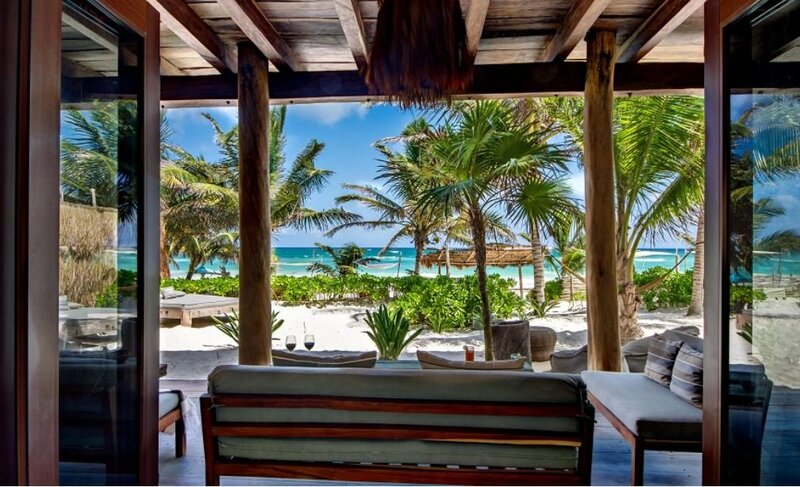 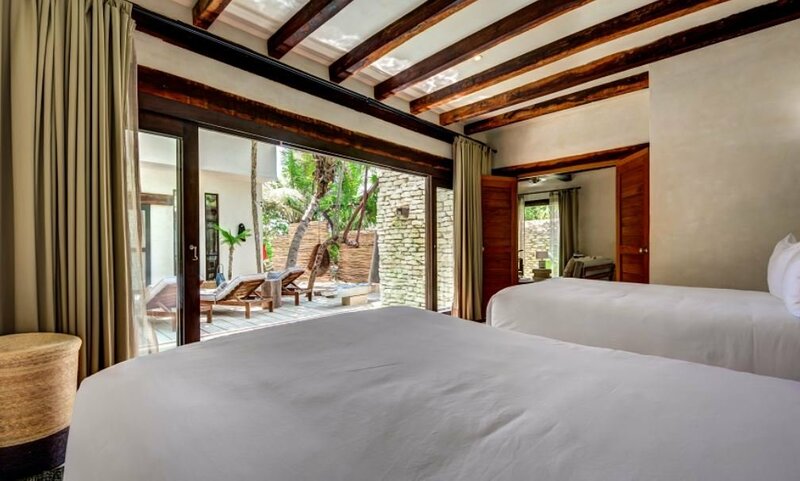 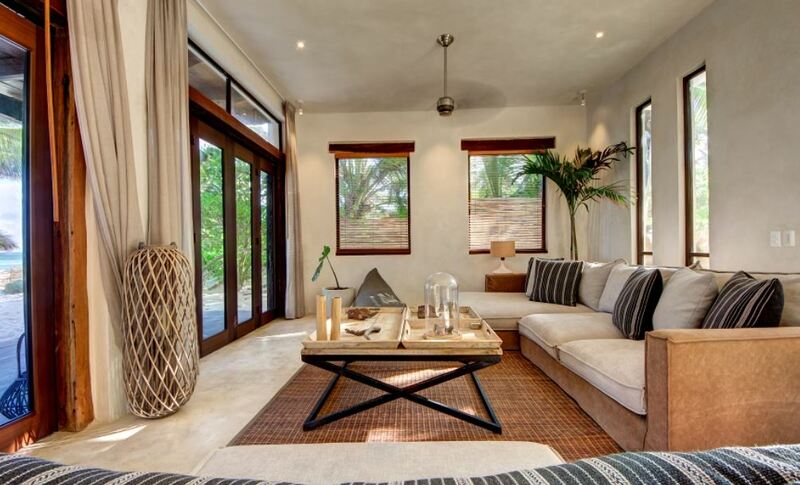 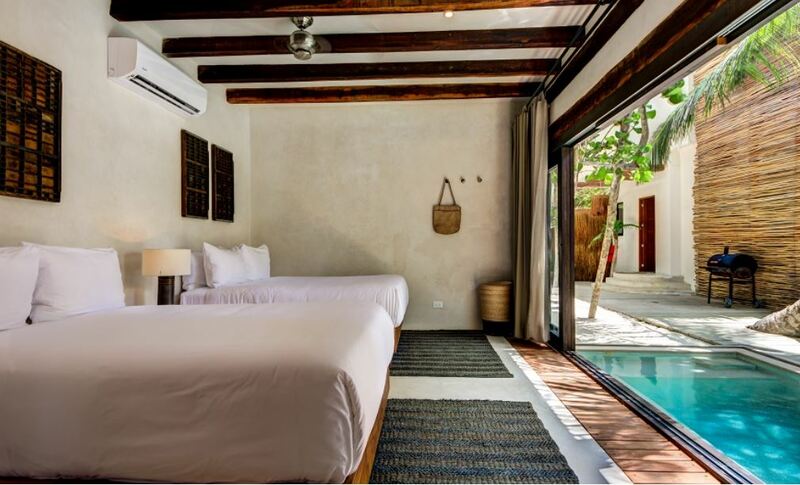 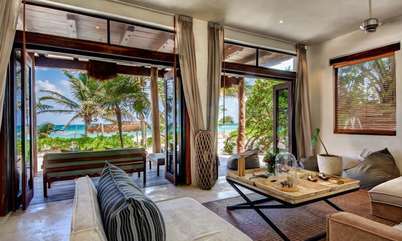 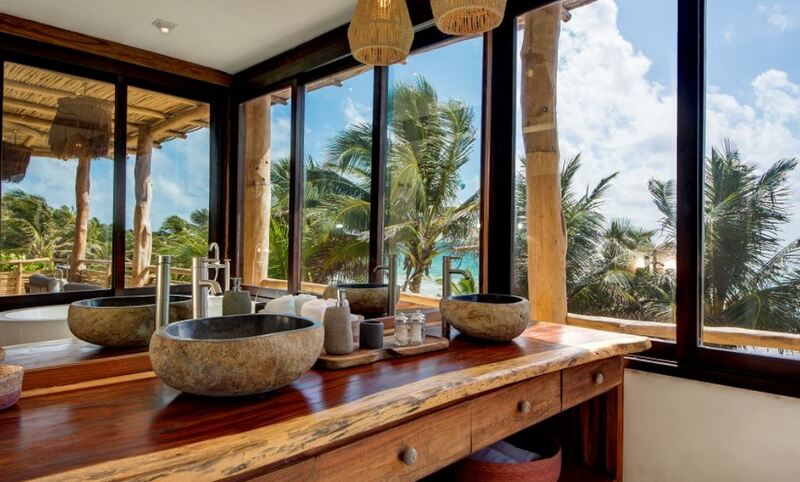 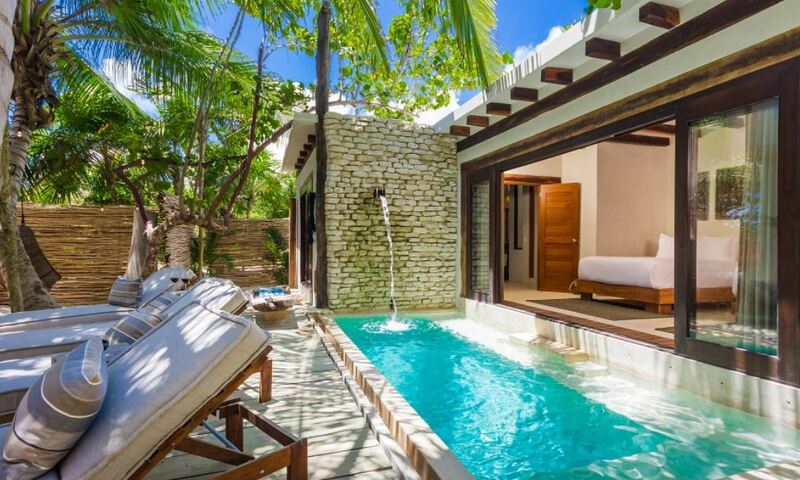 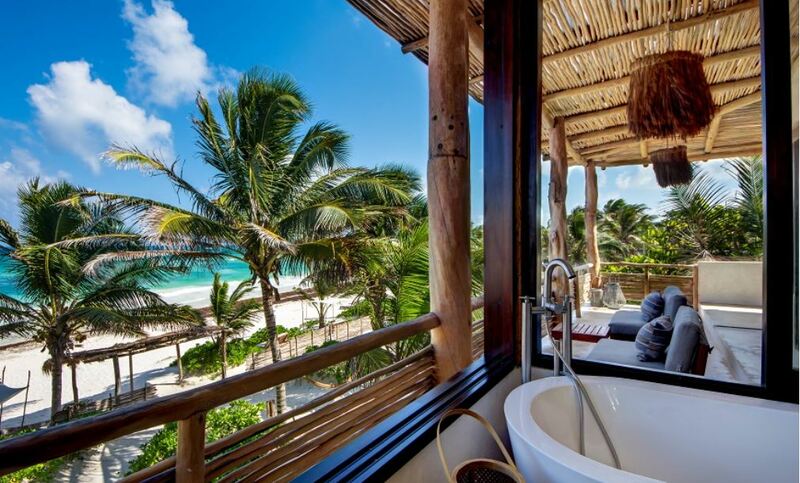 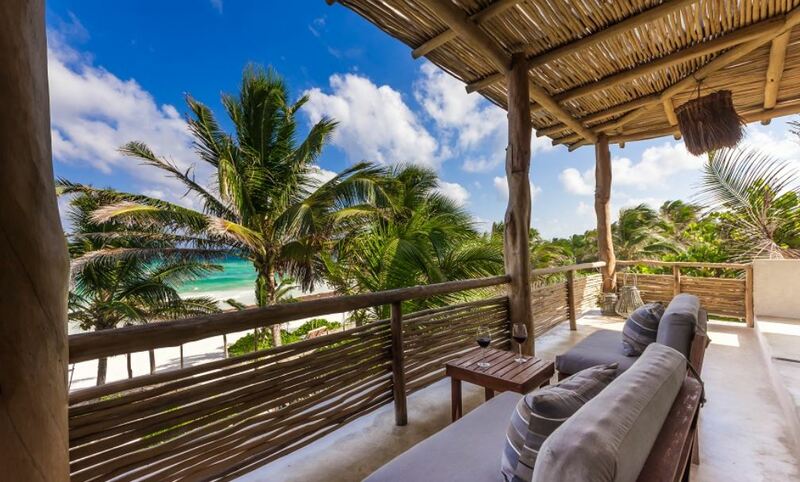 Villa Aquasol is a unique ocean front house, nestled in the cosmopolitan area of Boca Paila Rd in Tulum. 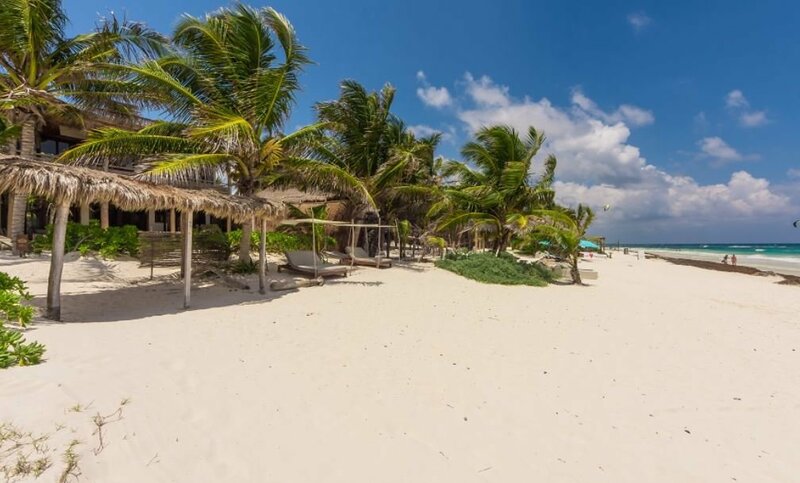 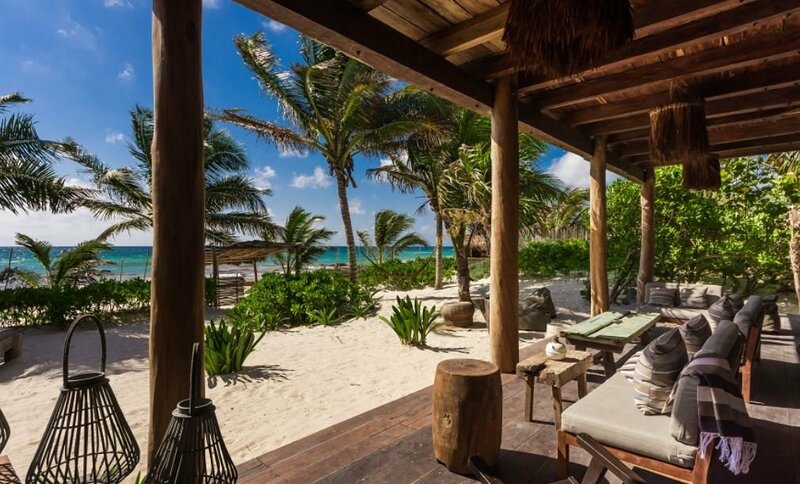 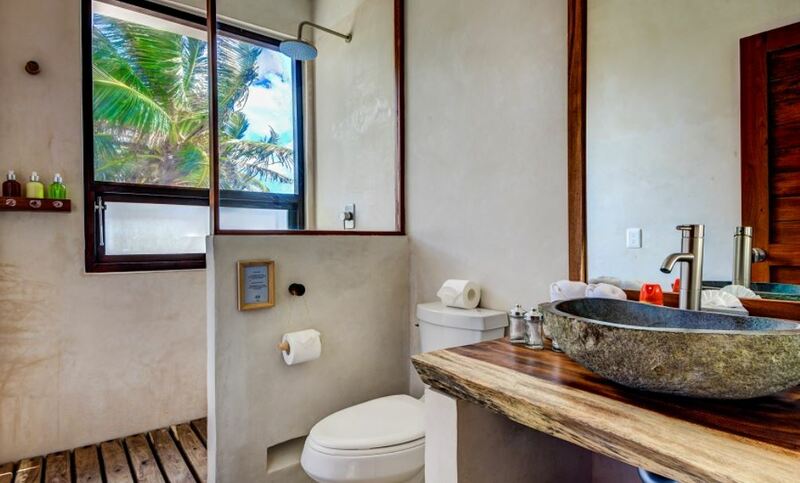 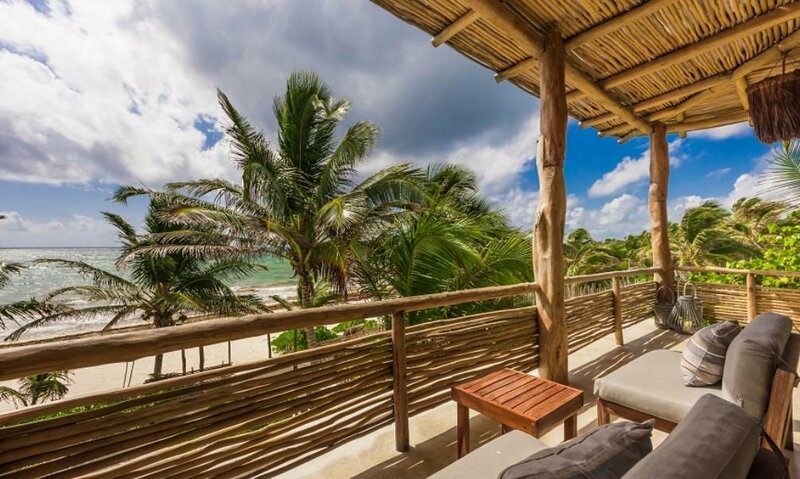 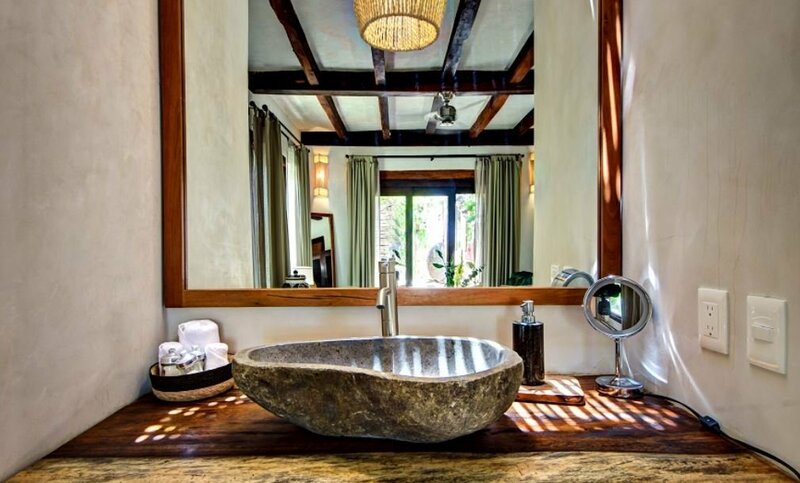 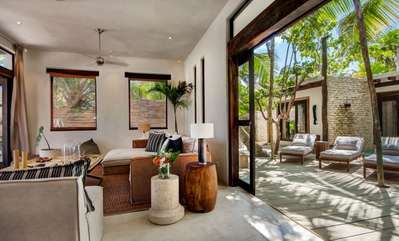 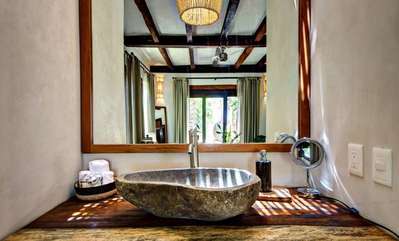 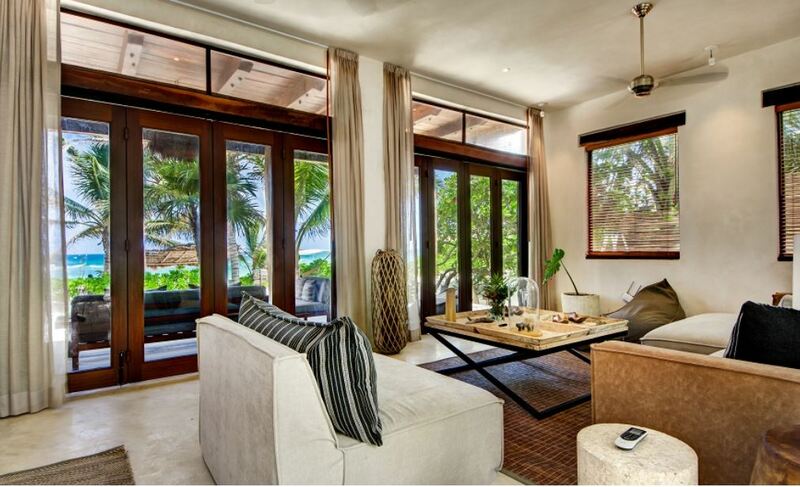 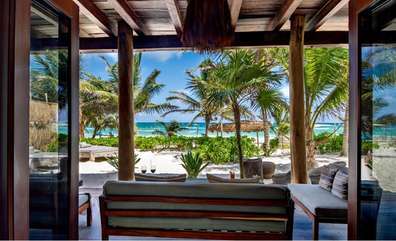 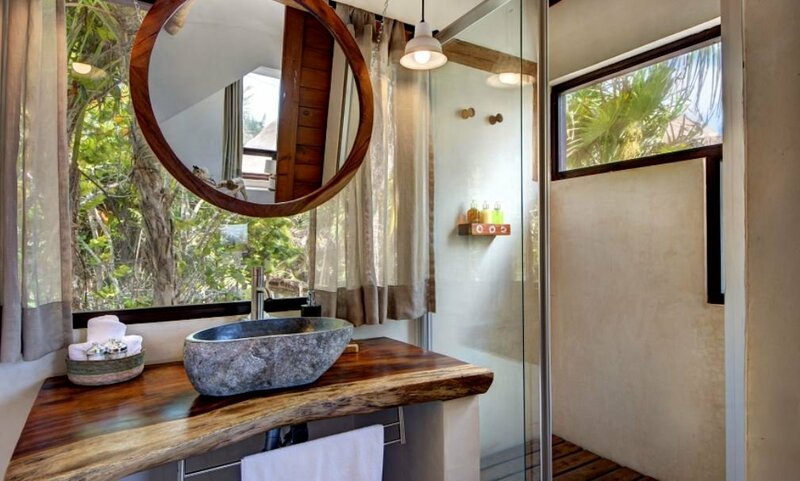 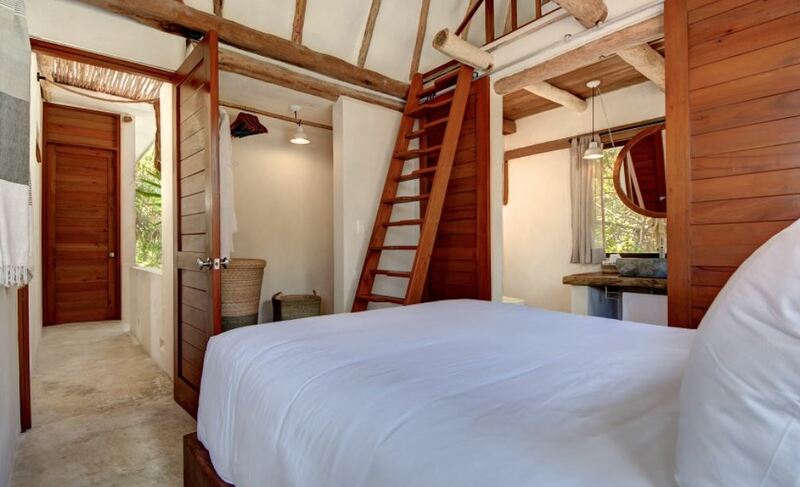 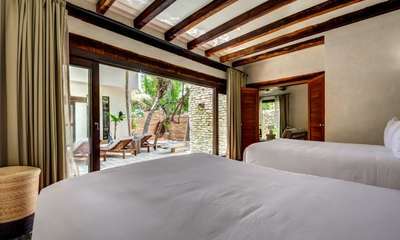 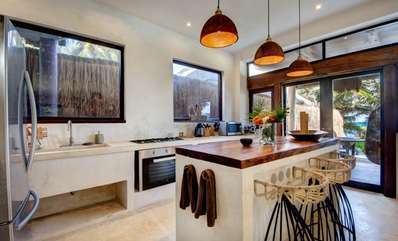 Take advantage of the jungle landscape and tranquillity whilst being in the heart of Tulum beach. 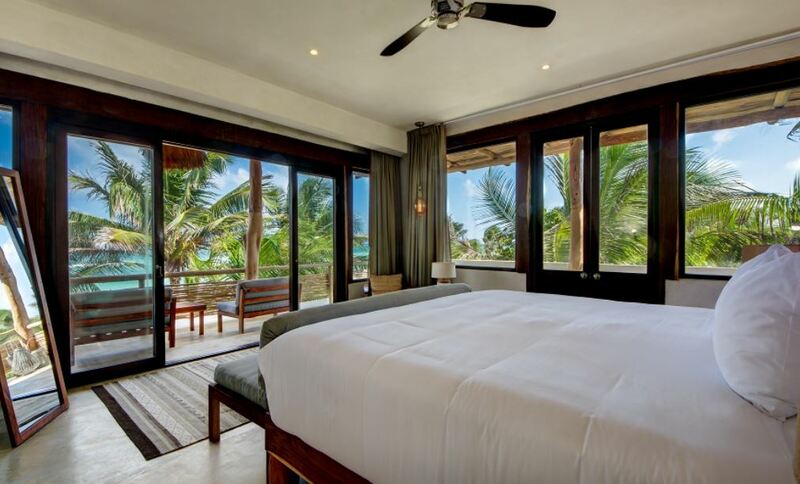 Villa Aquasol is an exclusive villa offering stunning ocean views and the perfect mix of Mexican construction with warm wood details and traditional building techniques. The house provides privacy, comfort and an unmatched sense of space and tranquillity. 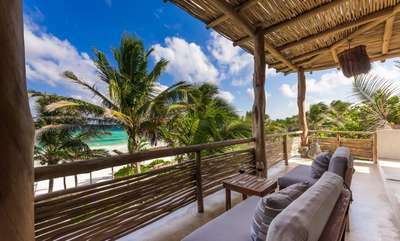 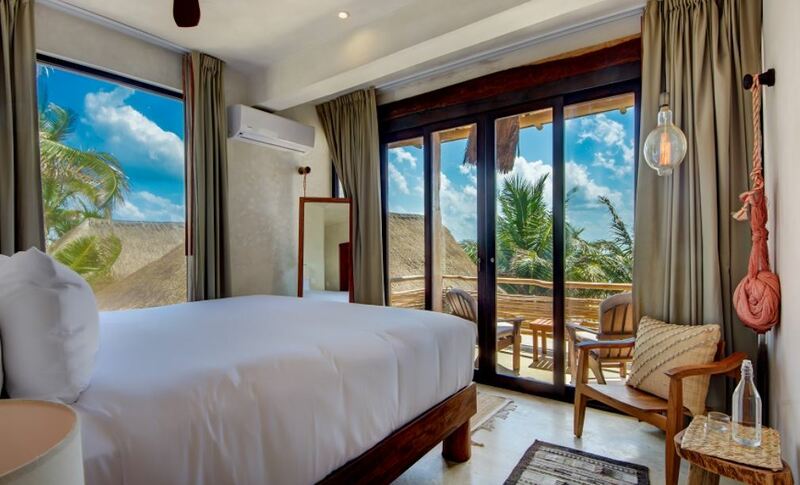 On the roof top of this Villa, you will relax on the massive sun beds and spectacular views of the ocean and the jungle sunsets or just have fun with your friends and family at the outdoor bar and the private central patio next to your cozy private pool. Villa Aquasol extends in 362m2 and features 4 spacious bedrooms all with en suite bathrooms, large indoor and outdoor areas, dinning room for ten guests, fully equipped kitchen and a spectacular beachfront terrace. 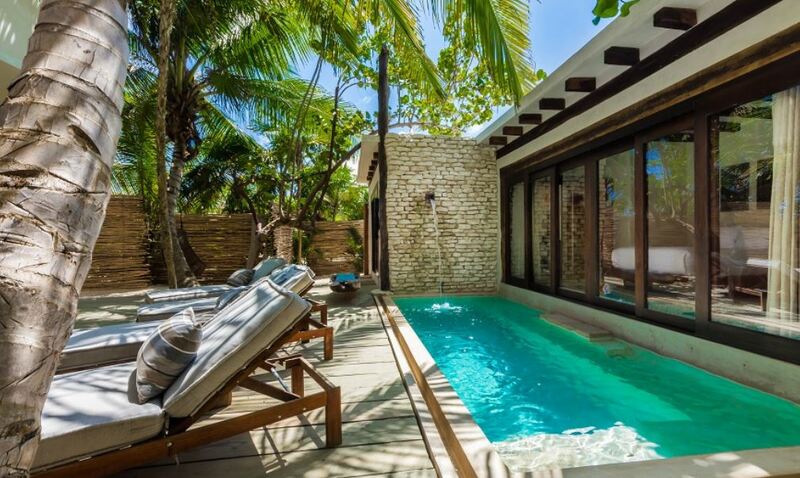 Come to Villa Aquasol to enjoy a private paradise in one of the trendiest beach destinations of the world!